People receive extra copies of newspapers reporting that Tokyo had been chosen to host the 2020 Olympic Games in Tokyo September 8, 2013. TOKYO - The 2020 Olympics could seal the revival of Japan's long-stagnant economy, analysts say, an echo of the 1964 Tokyo Games that showcased a nation risen from the ashes of defeat. Staging the world's biggest sporting jamboree "is clearly a plus to (economic) growth" Prime Minister Shinzo Abe told journalists in Buenos Aires, hours after the Japanese capital was named as host. 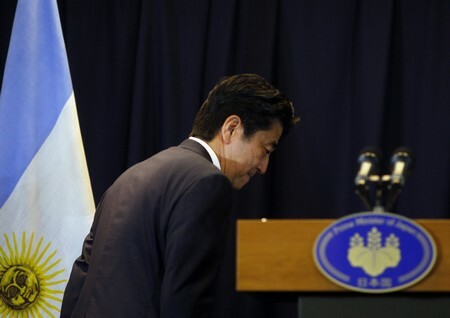 "Japan has had 15 years of economic stagnation... and we've lost confidence in ourselves. 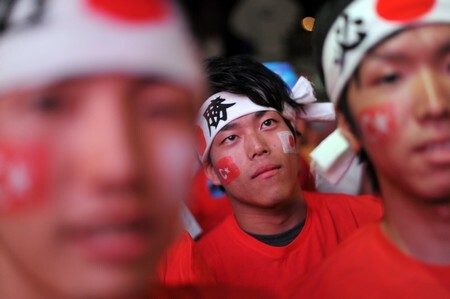 But I hope this will be a chance for us to regain that confidence," Abe said. In the 1960s the Games were the coming-out party of a country that had grown to respectability after the ignominy of occupation following World War II. The 1964 Olympics heralded the arrival of what was to become a huge and vigorous economy - until recently the world's second biggest - and one that shook up the global order until it all came to a shuddering halt at the end of the 1980s. Two decades of anaemic growth and investment-sapping deflation saw China push a floundering Japan into third place, as repeated attempts to kick-start the economy did little but add to a mountain of debt. 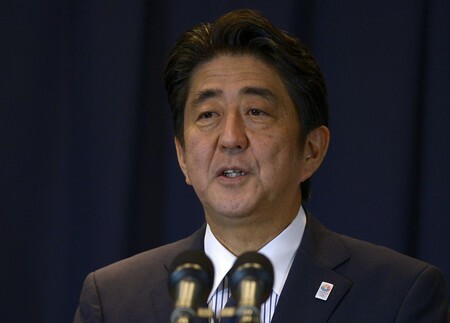 But Abe's election in December kindled hope of a recovery, and his economic plan, dubbed "Abenomics", has encouraged the green shoots of a recovery that optimists say might really take hold. Now they hope that a second bite of the Olympic cherry could cement that recovery and recharge a country once known for its economic vigour. "The most important thing about the 2020 Tokyo Olympics is that it has reduced risks of Abemonics failing in the middle," said Hideyuki Ishiguro, senior strategist at Okasan Securities. 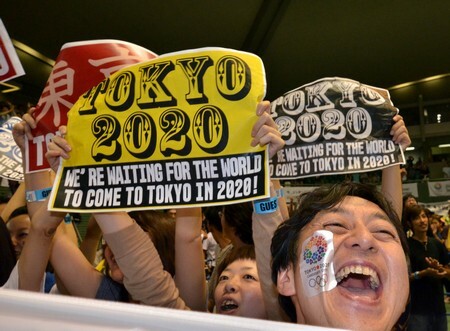 The Tokyo Metropolitan government estimates that hosting the Olympics will see about three trillion yen (S$38 billion), or less than one per cent of Japan's Gross Domestic Product, being spent in the seven years to 2020. But Ishiguro says the real impact will be much bigger. 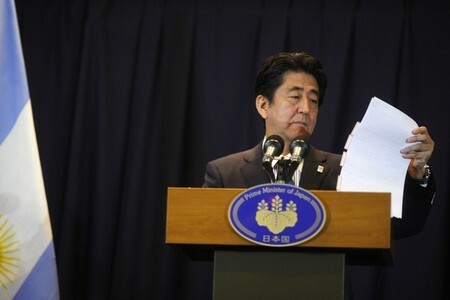 "The Tokyo government's estimate doesn't include redevelopment of roads and other social infrastructure in the greater Tokyo area, nor the government's plan of repairing and rebuilding infrastructure nationwide," he said. 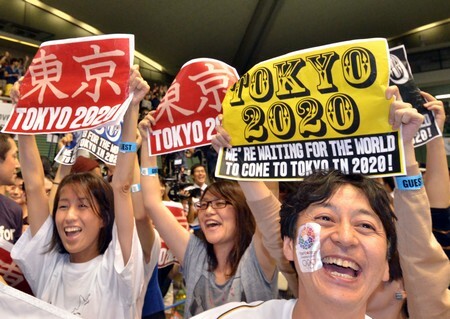 Tokyo overcame a worsening crisis at a nuclear plant 230km (140 miles) away as well as a one-time lack of local support to convincingly beat rivals Istanbul and Madrid for the right to stage the Games for the second time. 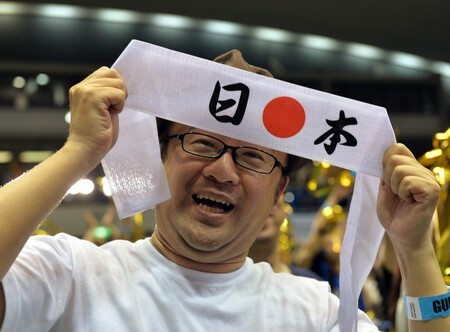 A gymnasium used in 1964 erupted in cheers at the 0500 local time (2000 GMT) announcement of Tokyo’s win and people screamed and embraced, jumping up and down. 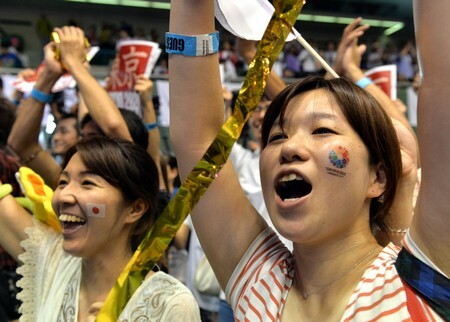 People celebrate as Tokyo wins the host city of the 2020 Olypics at the live-viewing event in Tokyo on September 8, 2013. 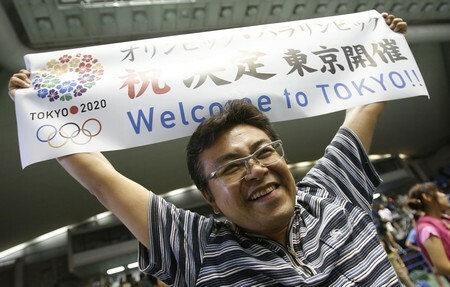 Tokyo won the right to host the Olympic Games for the second time, overcoming fears about radiation from the stricken Fukushima nuclear plant to land the 2020 edition of the world's biggest sporting event. 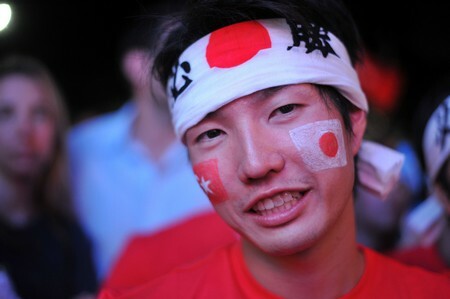 Some waved Japanese flags, others held banners that said“Let’s celebrate Tokyo’s victory”. “Having the Olympics will give us a chance to show the world how hard we’ve fought to recover – and thank the world for their support,” said Tomoko Tanaka, a 33-year-old housewife who had come to Komazawa Park for the night-long countdown events. It completed the final push for the Games which Tokyo has touted as everything from more stimulus for an economy tiptoeing back from stagnation to the final step of recovery from a devastating 2011 earthquake and tsunami that set off multiple reactor meltdowns at the Fukushima nuclear plant. Earlier that night, the countries in the final running to be the host city for the 2020 Olympics waited eagerly for announcement. The three cities bidding to host the 2020 Summer Olympics - Madrid, Istanbul and Tokyo - delivered their final presentations ahead of the expected tight vote by the IOC, though Madrid was eliminated from the race moments after, in the first round of voting. 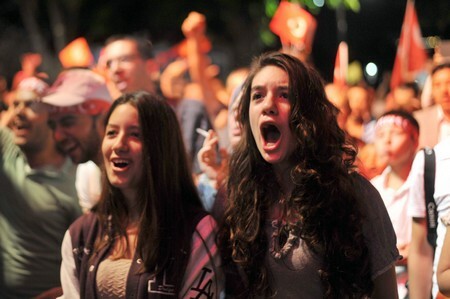 Turkish women react after the President of the International Olympic Committee (IOC) announced Istanbul to be the winner of the first round bid to host the 2020 Summer Olympic Games on screen, on September 7, 2013 at Sultanahmet in Istanbul. Tokyo and Istanbul on Saturday went head-to-head in the race for the 2020 Olympics after Madrid was dramatically eliminated in the first round of voting at the IOC meeting in Buenos Aires. 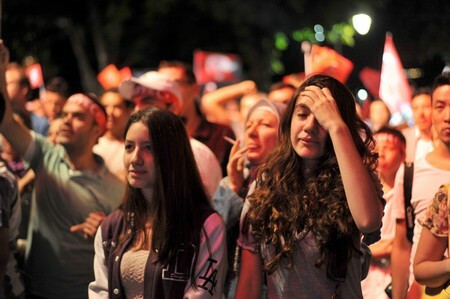 However, hundreds of hopeful Turks were left disappointed after the announcement Saturday that Tokyo had been chosen to host the 2020 Olympics. 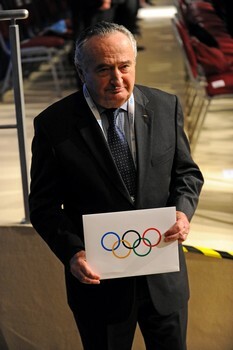 The moment: IOC member Francisco Elizalde carries the envelope with the winning city to host the 2020 Summer Olympics during the 125th session of the International Olympic Committee (IOC), in Buenos Aires. 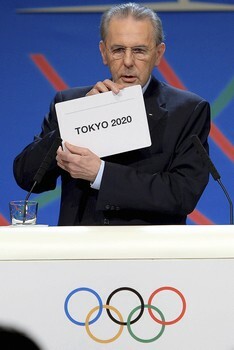 International Olympic Committee (IOC) President Jacques Rogge displaying the care with the name of the winning city elected to host the 2020 Summer Olympics, in Buenos Aires, Argentina, Saturday, Sept. 7, 2013. The name of the city of Tokyo is shown. 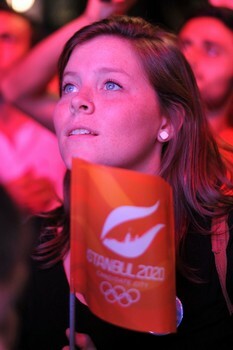 Tokyo defeated Istanbul in the final round of secret voting Saturday by the International Olympic Committee. Madrid was eliminated earlier after an initial tie with Istanbul. 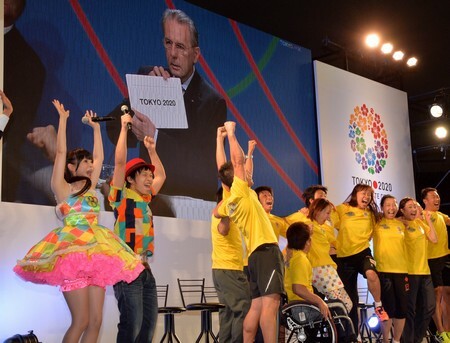 Members of the Japanese bid committee celebrate as Jacques Rogge President of the International Olympic Committee (IOC) announces Tokyo as the city to host the 2020 Summer Olympic Games. 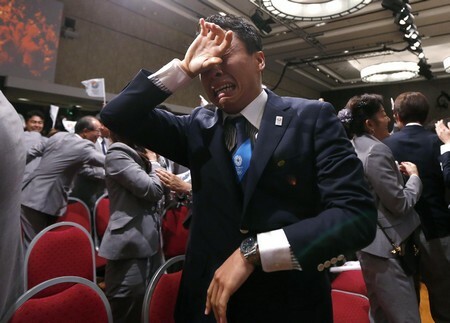 Japanese fencer Yuki Ota cries as Jacques Rogge President of the International Olympic Committee (IOC) announces Tokyo as the city to host the 2020 Summer Olympic Games. 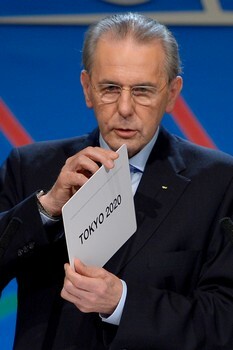 Japan's Olympic Committee President Tsunekazu Takeda celebrates as Jacques Rogge President of the International Olympic Committee (IOC) announces Tokyo as the city to host the 2020 Summer Olympic Games. 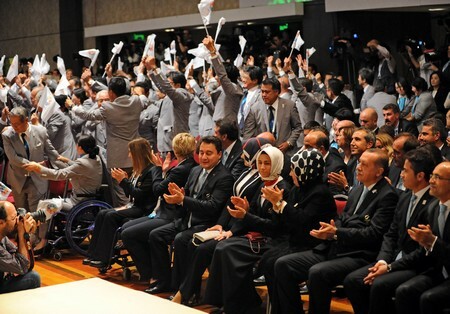 Tokyo 2020 delegation members celebrate as Istanbul 2020 delegation members applaud after IOC president IOC President Jacques Rogge announced the Asian city to be the winner of the bid to host the 2020 Summer Olympic Games. 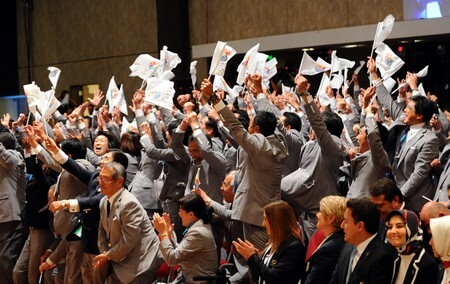 Tokyo 2020 delegation members celebrate as Istanbul 2020 delegation members gesture after IOC president IOC President Jacques Rogge announced the Japanese city to be the winner of the bid to host the 2020 Summer Olympic Games. 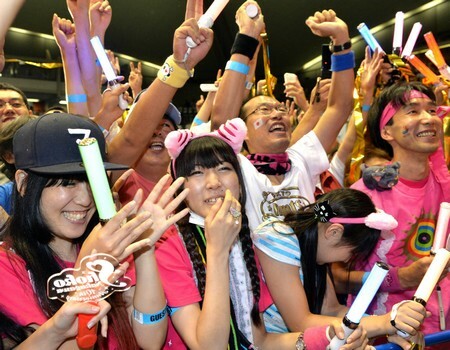 People celebrate after hearing that Tokyo had been chosen to host the 2020 Olympic Games during a public viewing event in Tokyo. 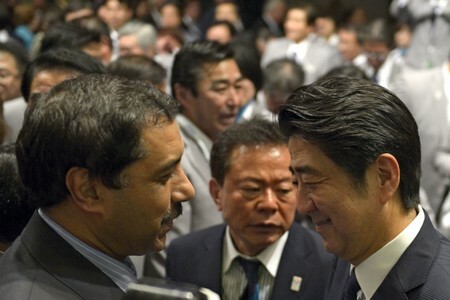 apanese Prime Minister Shinzo Abe (L) is congratulated by Turkish Prime Minister Recep Tayyip Erdogan after IOC president Jacques Rogge announced the Japanese capital to be the winner of the bid to host the 2020 Summer Olympic Games. 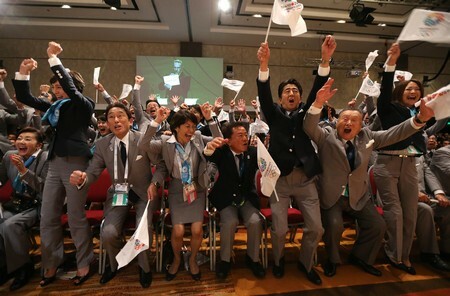 Japanese Prime Minister Shinzo Abe celebrates alongside Tokyo 2020 delegation members after IOC president Jacques Rogge announced the Japanese capital to be the winner of the bid to host the 2020 Summer Olympic Games. 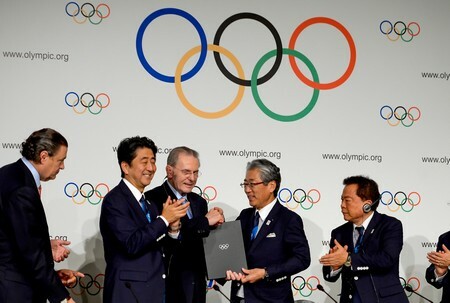 Japanese Prime Minister Shinzo Abe (R) is congratulated after IOC president Jacques Rogge announced the Japanese capital to be the winner of the bid to host the 2020 Summer Olympic Games. International Olympic Committee (IOC) presidency candidate Puerto Rican Richard Carrion, Japanese Prime Minister Shinzo Abe, IOC President Jacques Rogge, Japanese Olympic Committee and Tokyo 2020 delegation Tsunekazu Takeda and Tokyo's Governor and Chairman of Tokyo 2020 bid Naoki Inose attend a document signing ceremony after Tokyo was announced as the winner of the bid to host the 2020 Summer Olympic Games. 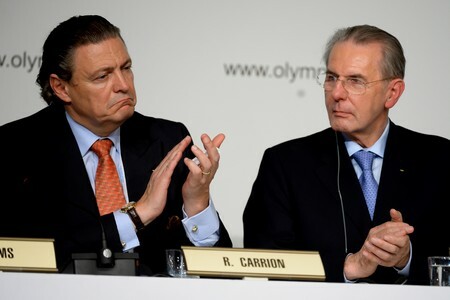 International Olympic Committee (IOC) presidency candidate Puerto Rican banker and philanthropist Richard Carrion (L) and outgoing IOC President Jacques Rogge applaud during a document signing ceremony after Tokyo was announced as the winner of the bid to host the 2020 Summer Olympic Games. 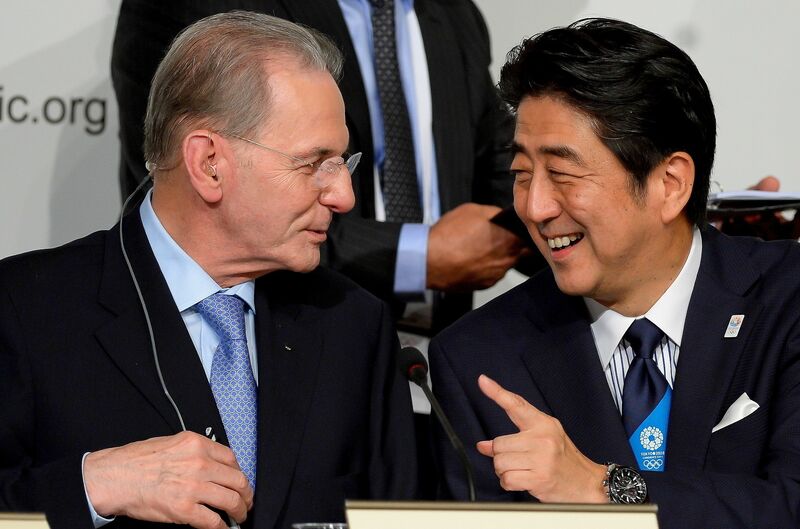 Japanese Prime Minister Shinzo Abe (R) speaks with IOC President Jacques Rogge during a document signing ceremony after Tokyo was announced as the winner of the bid to host the 2020 Summer Olympic Games. 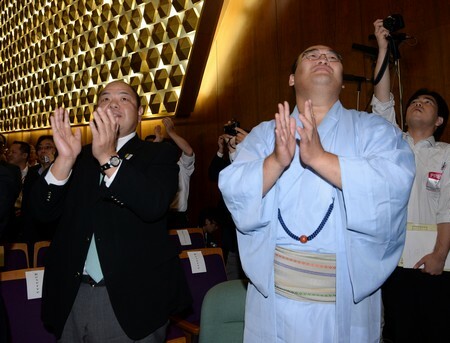 Japanese Sumo Association's Hakkaku 'Oyakata,' or stable master (L) and Takamisakari (R) celebrate after Tokyo was named for the 2020 Olympic bid. 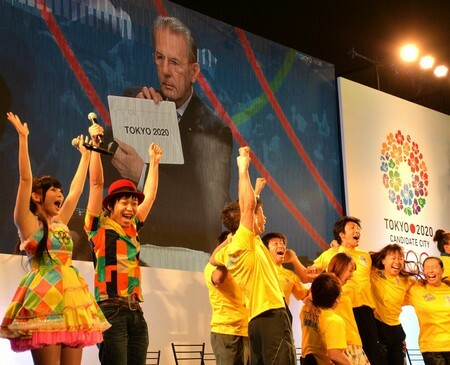 People celebrate as IOC President Jacques Rogge announces Tokyo for the 2020 Olympics host city on a screen at the live-viewing event in Tokyo on September 8, 2013. 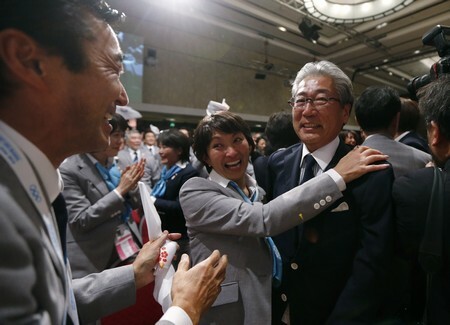 Japanese athletes Ai Shibata (L), Saori Yoshidda (2nd L) and Junichi Miyashita (2nd R) jubilate with 80-year-old adventurer Yuichiro Miura (R) after Tokyo was named for the 2020 Olympic bid. 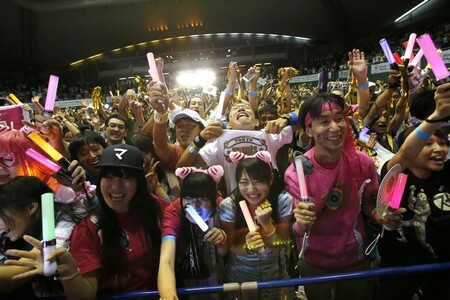 People celebrate after Tokyo is selected as the host city for the 2020 Olympic and Paralympic Games during a public viewing at the Komazawa Olympic Park in Tokyo, Japan, on Sunday, Sept. 8, 2013. 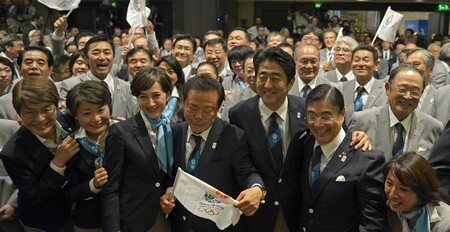 Japan's Prime Minister Shinzo Abe holds a news conference after Tokyo was selected as the city to host the 2020 Summer Olympic Games. 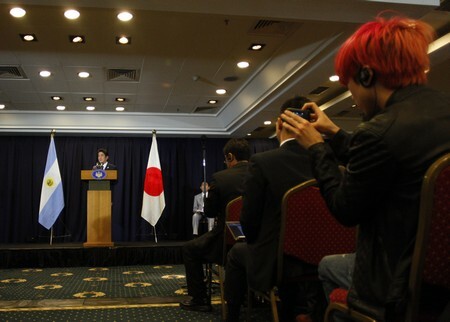 “This has been such a close race until the last moment,” Abe said during a press conference in Buenos Aires. 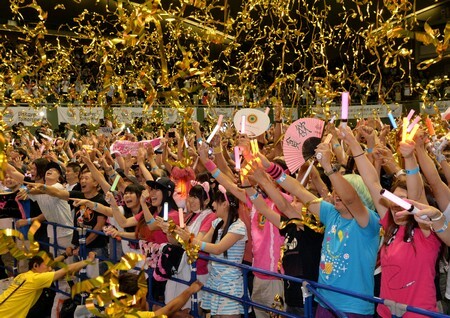 “The real games have only just started for Tokyo,” he added. 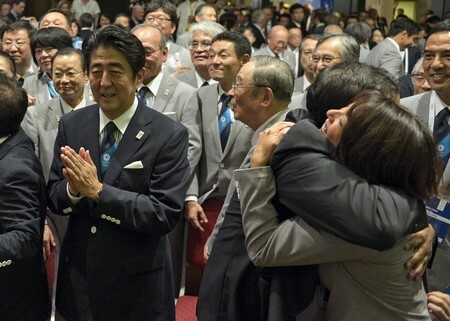 “Let us make ... efforts to win the trust and confidence of people in the world so that the decision to choose Tokyo today will be remembered as the right one,” he added.